Making fun tees for you and your little sweeties. 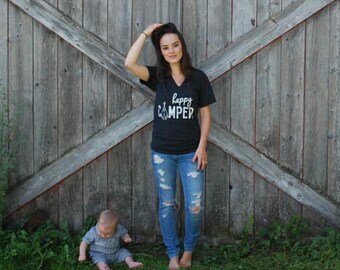 We are two moms that wanted to make simple, unique, and fun tees for our kids. That eventually turned into Sweet Tees! We love being able to create something that kids will love and moms can be proud of. We only print on the best quality tees. It is important to us that you get exactly what you want in a timely manner and that you love your tees! Thank you so much for stopping by our little shop and we hope you find something you love! Be sure to tag your little sweeties in their Sweet Tees on instagram @sweetteesshop so we can follow along! Hi! We are Jen & Brandie, the two Texas moms behind Sweet Tees. 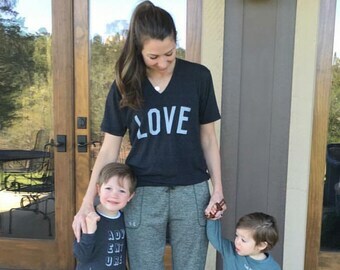 Most of our time goes into raising our kids & working as nurses, but we love having a place to turn our ideas into fun & comfortable clothes for your kids and you!